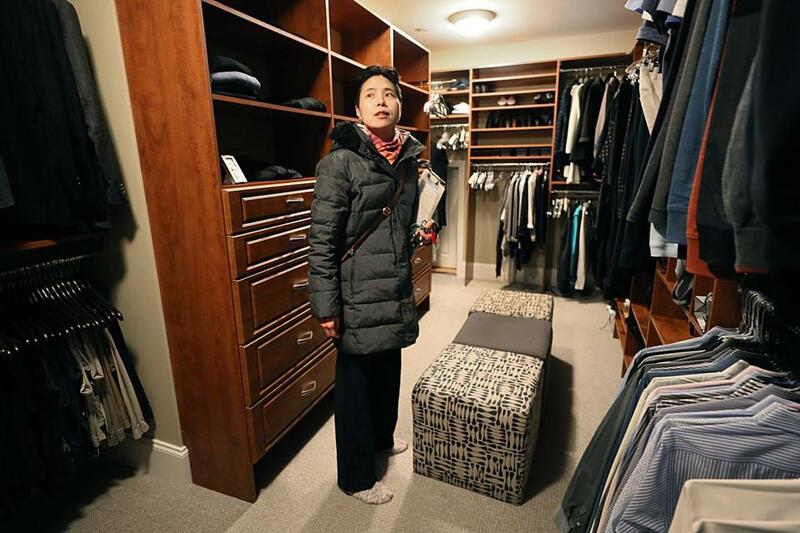 Susan Ho checks on the house of a client who spends the winter in a warm-weather home. When Susan Ho named her company Good Neighbor Concierge, it was in honor of her childhood hero, Fred Rogers. She doesn’t wear a red sweater like Mr. Rogers did — Ho’s favored attire is a blue polo shirt emblazoned with the company’s logo. Her goal is to try to make a difference for people, whether it’s shopping for a Hermes purse or cleaning up kitty litter. Ho is first generation Chinese-American, daughter of immigrant parents who owned a Chinese restaurant. She wanted to be a cardiologist but reality sank in when she saw her grades in chemistry and physics. So she went to Plan B — sports medicine. Ho found a job as a clinical data manager, reconciling clinical trial data until motherhood came along, when she became a stay-at-home mom. After that, like many women reentering the workforce, she wanted to reinvent herself, somehow earning an income with flexible hours. Maybe an online store? Open a gym? Then she read an article in an entrepreneurial magazine that talked about becoming a personal assistant, or concierge. “You’d be good at that,” her husband said. “Become an errand runner.” It sounded a little demeaning, being at the beck and call of strangers, but also appealing – she could set her own schedule, run around the city, and use her ingenuity to get things done. She created a website and paid a lot of money for marketing — one of her mistakes, she says — and waited for customers to come. But her phone didn’t start ringing until she started networking through a professional group and talking to acquaintances about her services. Her first customer was a single mom physician in Newton who needed help organizing her pantry and finding tutors for her special-needs son. From there, word spread, and now Ho, 48, is busy. You might find her standing in line at the registry (a necessary but dreaded task), wrapping presents, house-sitting, booking cruises to Alaska, dog-walking, or picking up dry cleaning. “It’s always a fascinating cycle of things that need to get done,” says Ho. Good Neighbor’s rates range from $110 for two hours of Ho’s time to $2,000 for 50 hours, a package described on the website as suitable for planning a holiday party, making travel arrangements, or dealing with wedding details. The Globe spoke with Ho about being a personal concierge. “I want to call the shots and go to work in my pajamas if I want to. Because I’m a one-woman operation, I never put myself in a position where I take on more than I can handle. This tends to be a female-dominated industry, for whatever reason – women tend to be caregivers and nurturing, always thinking about others. “I’m one of the few, if not the only, Asian concierges in Boston and it’s nice to stick out. Initially, I didn’t want to put my photo on my website, but then I realized the more you put yourself out there, the more trustworthiness you have. I am the face of the company and I’ve deliberately not scaled up, because people want to hire me, not someone else. “Many people think of having a personal assistant as being very extravagant. But most have something on their personal agenda that needs to get done and there are only so many hours in a day. In Europe, it’s very common to have a concierge. They are more comfortable there with having someone else do the mundane stuff for them.